As with most movies that we enjoy, they have moments that stick with you. One such moment was when the cowboy doll Woody proudly showed the name “Andy” handwritten on the bottom of his plastic boot. Woody knew he was a toy. His worth was not determined by the price paid at the toy store but in the name of his master written on his foot. That was what was most precious to him. 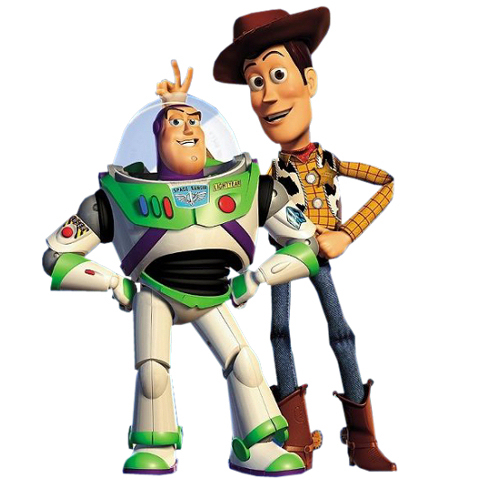 If you have seen the movie (willingly or unwillingly), you know that at Andy’s birthday party brings a new toy to add to the toy box – Buzz Lightyear, a space ranger action figure. Buzz wasn’t convinced he was a toy. He thought he was a real space cop. His identity and worth were wrapped up in that reality, and when he did come to the place where he knew he was a toy it was a shattering experience (really, it was shattering … if you don’t believe me go watch the movie). Toward the end of the movie Buzz proudly shows Andy’s name was written on his boot, too, giving him a new basis for his worth and value. It was another adult feel-good moment in a kid’s movie! God’s name is not written on my shoe or even my foot. I’ve checked. In fact, God’s Word tells me something even cooler. In Isaiah 49:16, God says to His people, “Behold, I have inscribed you on the palms of My hands…” Wait! Could this possibly mean that God has written MY name on HIS hands? Even if it is symbolic, that’s still pretty awesome. It shows just how special God’s people are to Him. My worth and value are not wrapped up in a name written on the sole of my shoe. My worth and value are secured by the fact that my name is written in God’s hand. He has claimed me. I am His.